If it’s Christmas it must be time for holly and ivy and A Christmas Carol, Charles Dickens’ ever-popular story of the true meaning of Christmas. 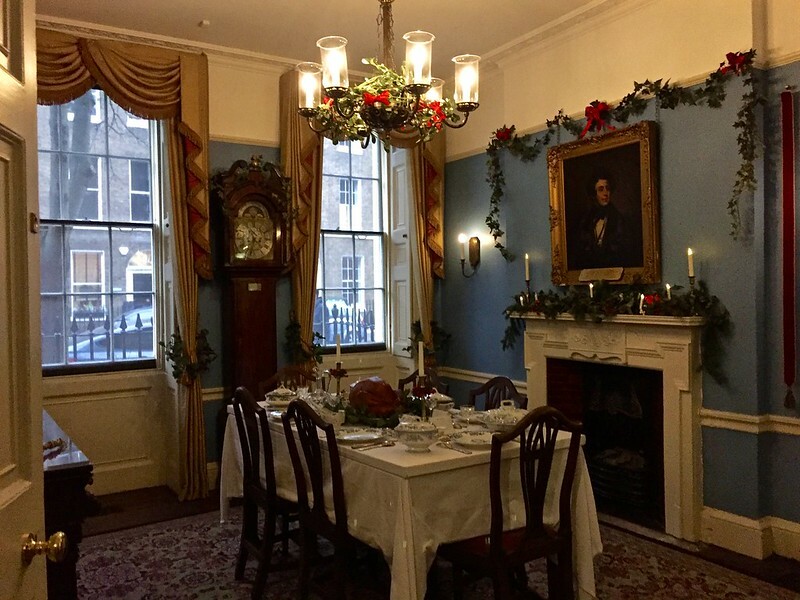 So where better to open the Christmas season than at the Charles Dickens Museum on Doughty Street, where the rooms are decorated for Christmas just as they might have been in Dickens’ day. 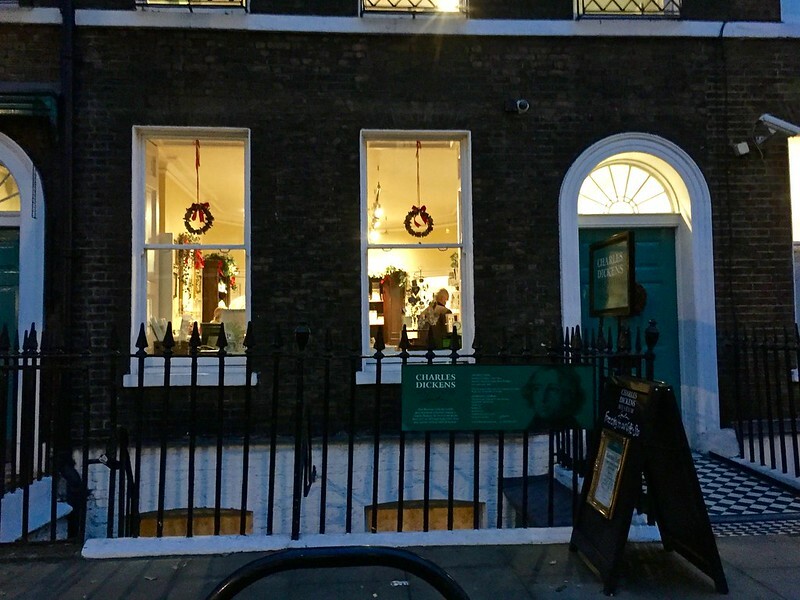 48 Doughty Street is London’s only surviving Dickens house. He lived there from January 1837 to December 1839, along with his wife Catherine, son Charley, his younger brother Frederick and Catherine’s younger sister Mary. 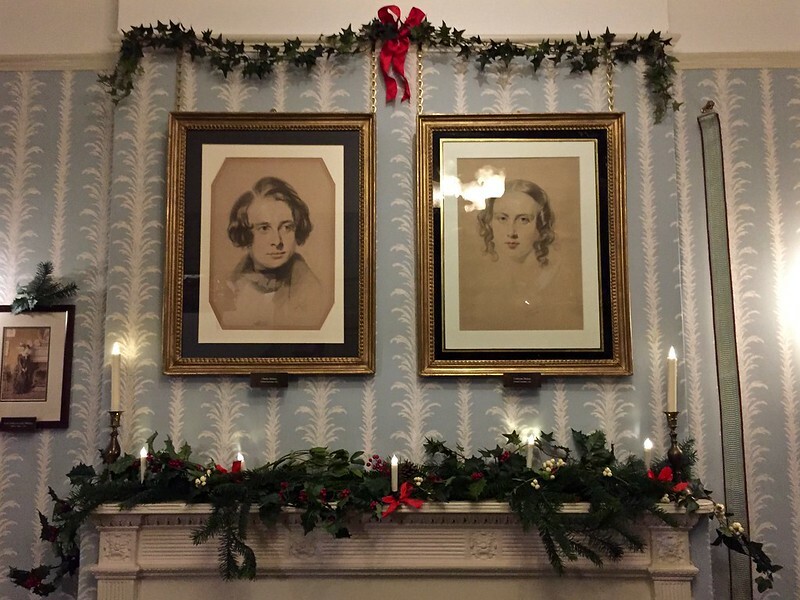 Dickens’ two daughters Mary and Kate were born in the house. 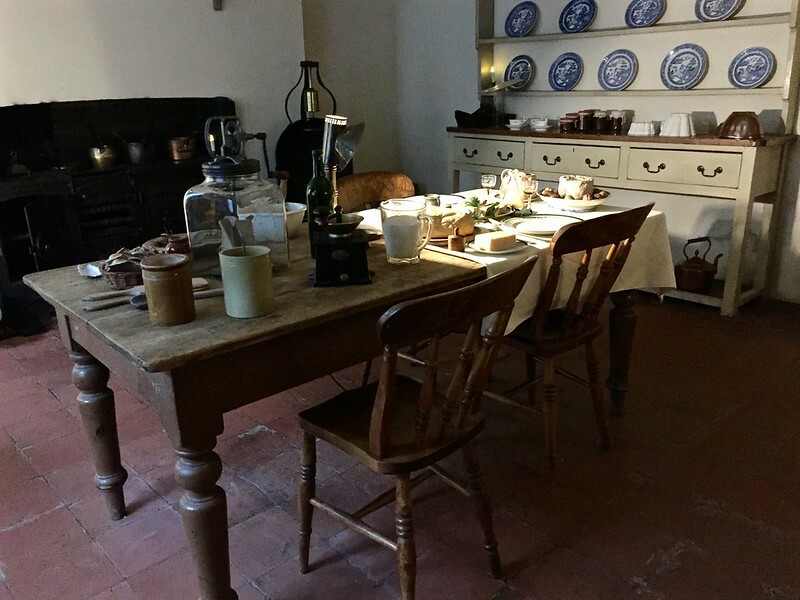 The house was threatened with demolition in 1923 but was saved by the Dickens Fellowship which turned it into a museum, furnished as it might have been when Dickens lived there. 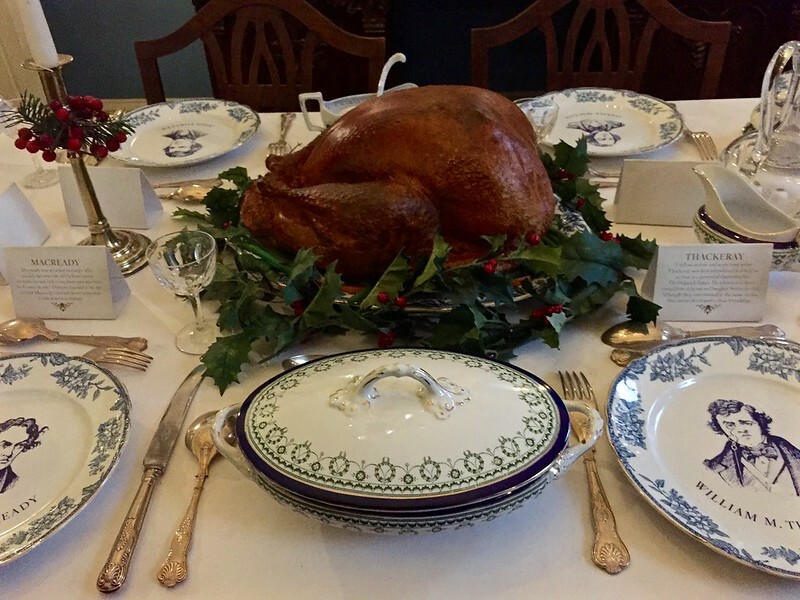 On the ground floor is the dining room, complete with turkey on the table and plates marked with the names of famous guests. 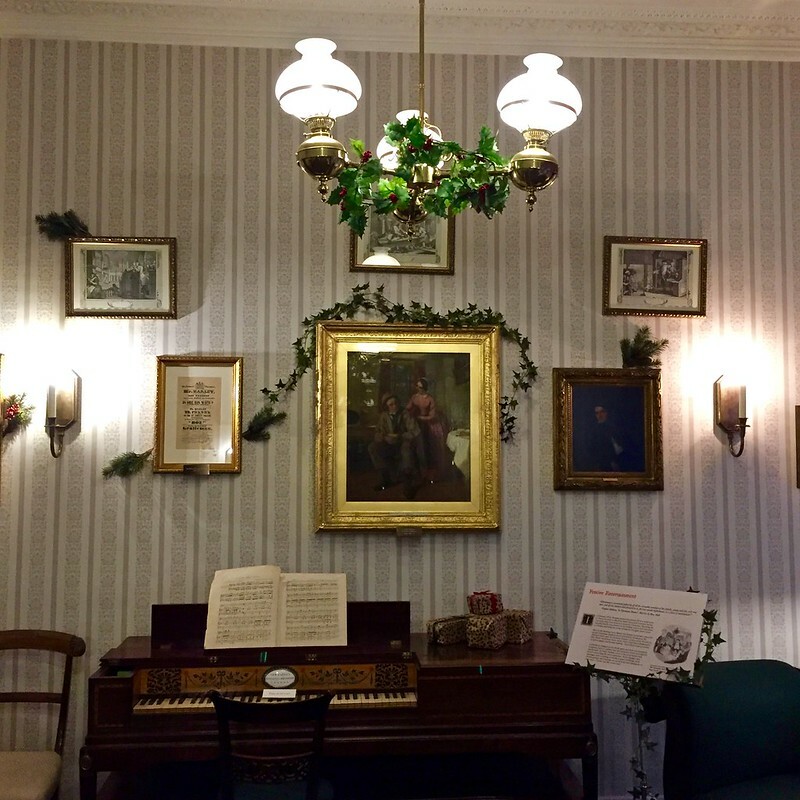 The room has been decorated with holly with red berries, as described in The Pickwick Papers. Behind that, looking out onto the garden is Catherine’s morning room. 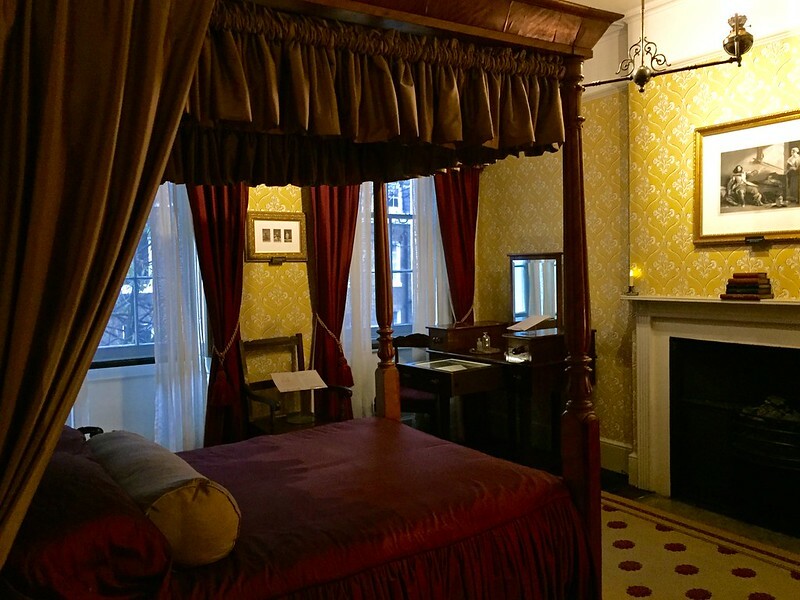 On the first floor is the drawing room and Dickens’ study. While living in the house he completed The Pickwick Papers and Oliver Twist, wrote Nicholas Nickleby and worked on Barnaby Rudge. 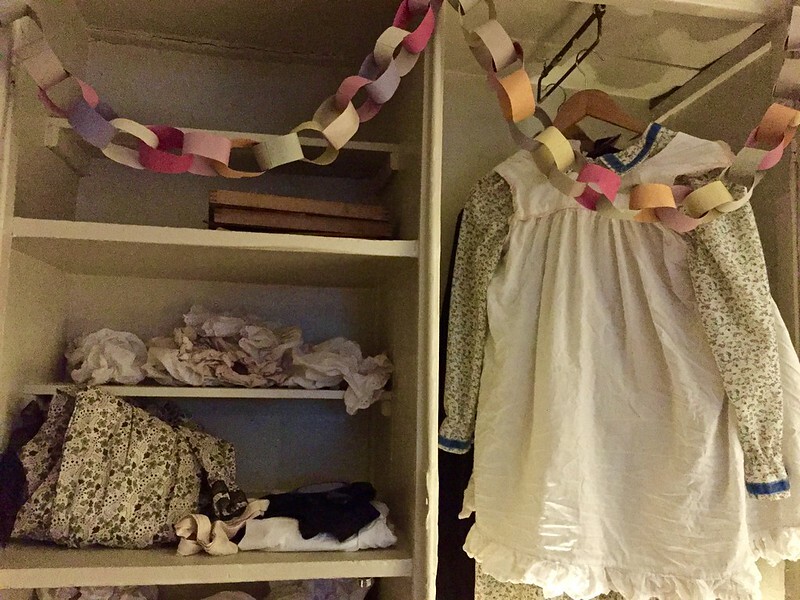 On the floor above are Dickens’ bedroom and Mary’s bedroom. Dickens was was very fond of Mary and was distraught when she died in 1837 after a short illness. 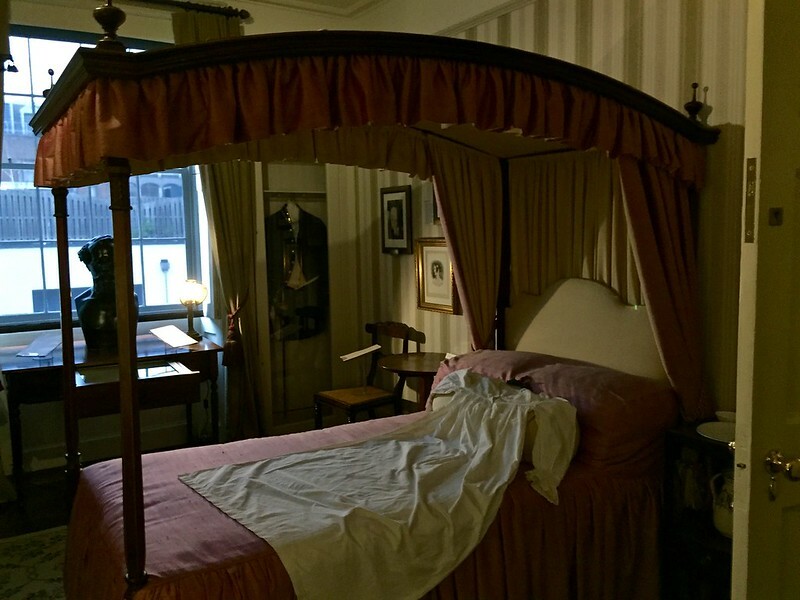 The top floor has the nursery and servant’s bedroom. 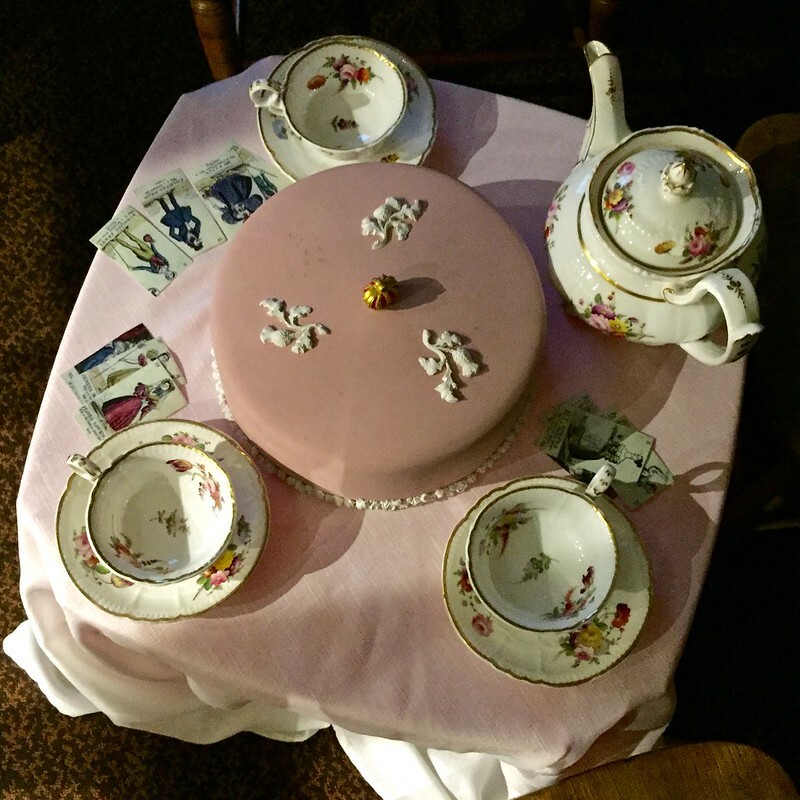 Charley Dickens was born on 6 January 1837, and the following year his parents hosted a Twelfth Night party for him with a cake and entertainments presided over by Dickens. In the basement is the kitchen, scullery and laundry room. The Museum is open Tuesday to Sunday from 10am until 5pm (and on Mondays in December). Adult entry is £9. 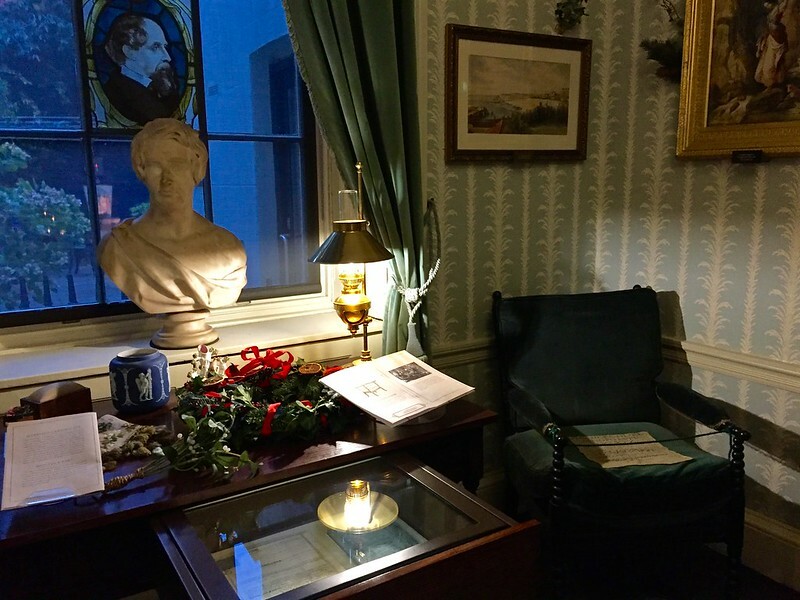 This entry was posted in Historic Houses and tagged Charles Dickens, Christmas decorations, Dickens Museum, Dickens' study, Doughty St, The Pickwick Papers by Fran. Bookmark the permalink. How lovely! 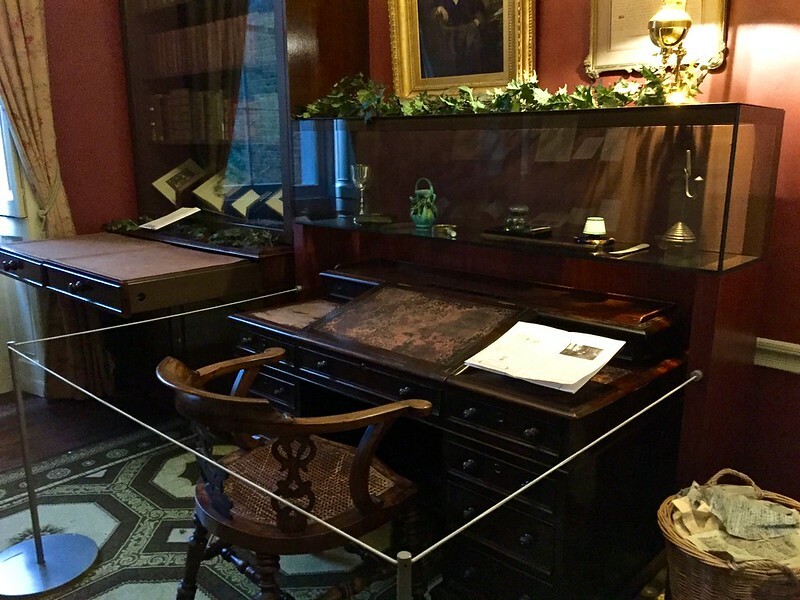 I had no idea there was a Dickens Museum. I want to see this now! This is the best time to go! 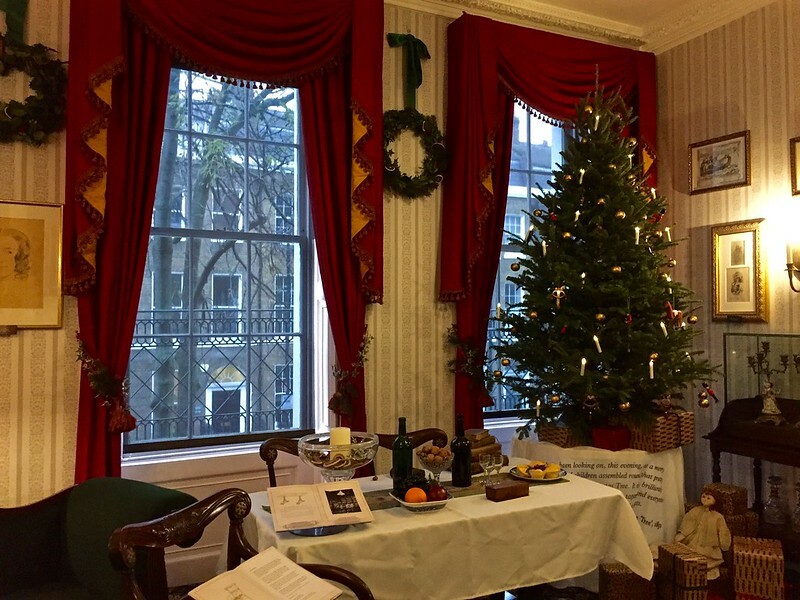 Try to go while the Christmas decorations are still up – they really add to the atmosphere!